Please feel free to get in touch. We would love to hear from you! Find out who we are. We are very enthusiastic about our Attendance and Time Sheet system, and are happy to answer any questions you may have. All enquiries, feedback and suggestions are welcome. The best time to call is during standard working hours in New Zealand's time zone (GMT + 12 hours). We're often working hard late at night and will take calls at other times if possible. You're welcome to drop us an email or WhatsApp message with your phone number and time zone. We'll endeavour to call you back during your working hours. Calls from within New Zealand can also be made to 022 698 2088. You may be interested in Frequently Asked Questions. 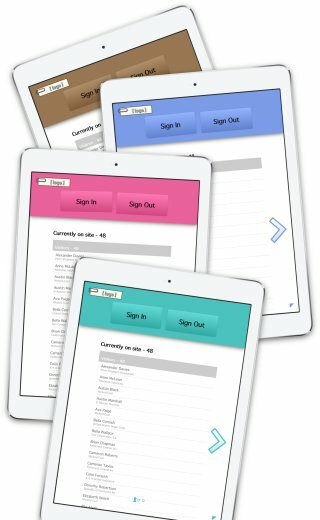 The Attendance App can be set up with your company's logo and accent colour. Find out how to get started for free. Thank you. We look forward to sending you our next newsletter. In the meantime, you may be interested in our Frequently Asked Questions. Email policy: we will send you messages from time to time about our products and how they may benefit your organisation. We will not share or sell your email address.